PM congratulates Will and Kate Jump to media player The Prime Minister has congratulated the Duke and Duchess of Cambridge after the announcement that they are expecting their second child. Duchess treated for morning sickness Jump to media player The Duchess of Cambridge is to be treated for hyperemesis gravidarum by doctors at Kensington Palace. Baby oh baby! How world broke news Jump to media player The Duchess of Cambridge is pregnant with her second child, and the story has been making headlines around the world. Royals arrive in New Zealand Jump to media player The Duke and Duchess of Cambridge have carried Prince George off the plane at the start of their three-week tour of New Zealand and Australia. First public outing for new mum Kate Jump to media player The Duchess of Cambridge has made her first public outing since the birth of Prince George, joining husband William at the start of an ultra marathon. Prince William and Kate name son Jump to media player The Duke and Duchess of Cambridge have named their son - George Alexander Louis. What does new baby mean for monarchy? Jump to media player The BBC's Mark Easton reports on the different reactions that the arrival of the royal baby has provoked. Prince William jokes baby George is 'quite loud' Jump to media player The Duke of Cambridge has thanked the people of Anglesey, in a speech at the island's agricultural show. Royal baby: NI toasts birth of boy Jump to media player The first minister has congratulated the Duke and Duchess of Cambridge on the birth of their son. The Prime Minister has congratulated the Duke and Duchess of Cambridge after the announcement that they are expecting their second child. 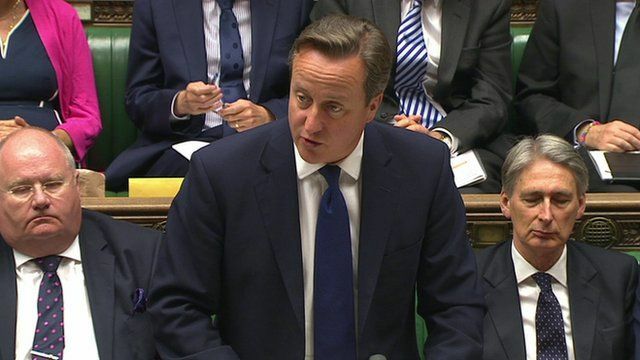 Speaking in the House of Commons, David Cameron wished the couple well for the months ahead.